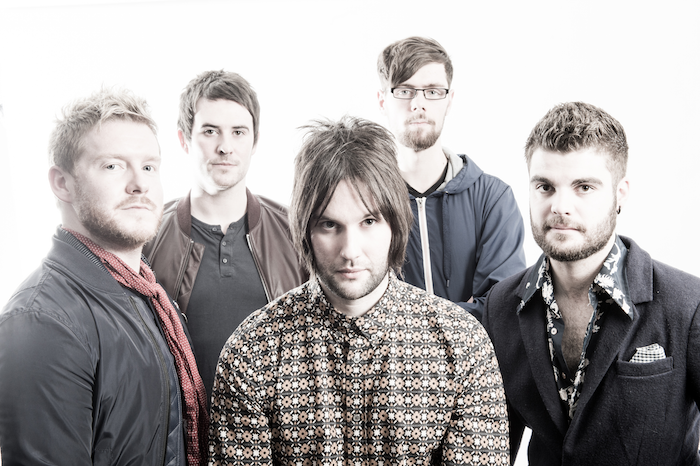 This week’s Irish Band of the Week is pop/rock band, Penrose. Hailing from the capital and comprised of Darragh Mc Grane:Lead vocals/Lead Guitar, Caolan Fitzsimons: Rhythm Guitar/BVs, Mark Bolger: Bass/BVs, Donal Bowens: Drums/BVs, and Benji Hayes: Keys/BVs – the band draw inspiration from the likes of The Beatles, Blur, and U2. Forming in 2015, the band quickly expanded into a five-piece ensemble and began performing as support acts for big hitters like Aslan, Jack L, The Original Rude Boys, and Paddy Casey on the vibrant Irish live scene. The release of their debut EP, Live for the Dream was released at a sold-out performance at The Grand Social in July 2015. Almost immediately, the album climbed to the top of the Irish charts, sitting in the third spot. The soon followed up this rapturous response with their acclaimed single ‘Melody’ which, again, climbed to the top 10 Irish Charts. Eventually, their unique blend of indie attitude, pop sensibilities, and harmonies garnered them immense attention – drawing comparisons between the band and ELO and Oasis. ‘Melody’ would go onto be an immense hit for Penrose, receiving nationwide airplay on national stations such as Today FM, FM 104 and RTE, as well as TV appearances to on RTE’s TwoTube. These airplays and appearances catapulted the band even further into public view and followed it up with another sell-out gig in the Academy 2. 2017 has already kicked off to a great start for the band, having performed the Leopardstown Student Race Day and a few more promising gigs to be announced soon. They’ve also found time to release a new single called ‘RIDE’ which is an unapologetic mix of rock ‘n’ roll energy and charming pop vocals; the two meld together perfectly to create an infectious track you won’t get out of your head.